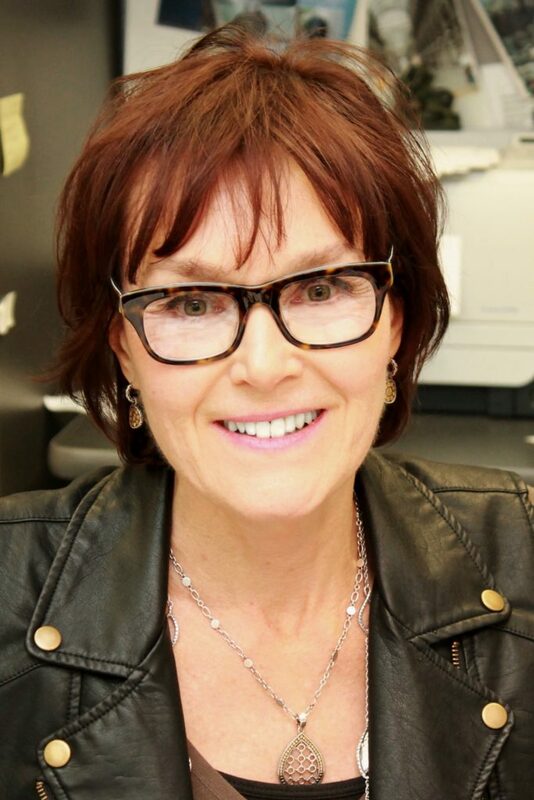 Dr. Lynne Maquat is the J. Lowell Orbison Endowed Chair and Professor of Biochemistry and Biophysics in the School of Medicine and Dentistry, Director of the Center for RNA Biology, and Chair of Graduate Women in Science at the University of Rochester. She received her BA in Biology from the University of Connecticut and her PhD in Biochemistry from the University of Wisconsin-Madison. Lynne conducted postdoctoral research at the University of Wisconsin-Madison, and she worked as a faculty member at the Roswell Park Cancer Institute for 19 years before joining the faculty at the University of Rochester. Lynne has received numerous awards and honors during her career, including the International RNA Society Lifetime Achievement in Science Award, the Canada Gairdner International Award, the William Rose Award from the American Society of Biochemistry and Molecular Biology, the Athena Award from the Women’s Council of the Rochester Business Alliance, a MERIT Award from the NIH, the Presidential Diversity Award from the University of Rochester, the RNA Society Lifetime Achievement Award in Service, and many others. She was also named a Member of the U.S. National Academy of Sciences, a Fellow of the American Association for the Advancement of Science, a Fellow of the American Academy of Arts and Sciences, and a Batcheva de Rothschild Fellow of the Israel Academy of Sciences and Humanities. Lynne discusses her experiences in life and science with us in this interview. Lynne has a Labrador retriever whom she loves taking on walks through the lovely parks and woods in Rochester, New York. She also enjoys exercising through yoga, lifting weights, and doing cardio. Research in Lynne’s lab focuses on human diseases and what causes diseases in our cells. She is working to understand how cells function normally, determine what causes diseases, and develop treatments for diseases. In particular, she has been studying a process in cells that causes about one third of all inherited diseases, like cystic fibrosis and Duchenne muscular dystrophy, as well as one third of all acquired diseases, including cancer. If you really believe in what you are doing, it makes it easier to do it. Growing up in the country in Connecticut, Lynne was fascinated by nature. As a kid, she knew the names of all the native birds and plants, but she wasn’t necessarily committed to science then. Lynne was fluent in Spanish, she was good at writing and English, and she loved math as well. She was the first person in her family to go to a four year college, and she didn’t know much at the time about careers in research. During her sophomore year, Lynne worked up the courage to ask her professor if she could do research in his cell biology lab. He said yes, and she was thrilled to spend the summer learning more about what goes on in cells when proteins are made. Lynne’s lab is financially supported through taxpayer dollars via funding from the National Institutes of Health (NIH). The process of getting grants, including writing the proposals, justifying all aspects of the projects she would like to do, conveying the work they have done, projecting the science they will do, and undergoing peer review, is very rigorous and challenging. Unfortunately, the budgets for the NIH aren’t as large as they used to be, so it is becoming more and more difficult to get funding. To be competitive for grants, scientists also need to publish numerous scientific papers, each of which can take years to complete. Lynne is proud to report that her work has been continuously funded, and for the past 25 years, she has held at least two simultaneous NIH grants. For Lynne, perseverance is one of the keys for success. Lynne’s research group has discovered many interesting things that people hadn’t anticipated. It has been traditional practice in research to study one small thing that a cell does in isolation, but by working within living cells and doing the kinds of experiments that Lynne has done, they realized that things happening in other parts of the cell may impact the one small thing you are interested in studying. How things work in a vacuum isn’t necessarily how they work in real life. For instance, they discovered that there are some important monitoring and quality control processes within cells that can fix problems that may occur in the first step of an important pathway. Though it was initially difficult for Lynne to convince her colleagues of the validity of her findings, other groups have now independently confirmed and expanded upon their discoveries. Lynne is an enthusiastic adventure traveler whose journeys have taken her across the globe, and she is looking forward to an upcoming trip this fall to Sri Lanka. In addition, every other year, Lynne teaches students from underprivileged countries and countries with developing scientific programs as part of the International Center for Genetic Engineering and Biotechnology in Trieste, Italy. This experience is especially rewarding because some of the students keep in contact after the workshop. Lynne has helped students by mentoring them, connecting them with training programs, getting them to attend conferences, and serving on their thesis committees. She enjoys being able to follow their careers. Beyond, the wonderful interactions with students, Lynne adores Italy. Her favorite clothing designer is Italian, the food is delicious, and the people are outstanding. When Lynne was a graduate student, they used to have a quote board in the lab. Any funny phrases or sentences would be taken out of context and put up on the quote board. In Lynne’s lab now, they still use a darkroom to develop images of their work using x-ray film. A while ago, one of her graduate students spent a long time exposing his experiment to what he thought was x-ray film, but it was really the pieces of cardboard that come on either side of the x-ray film. When he dipped the cardboard into one of the developing solutions, it completely disintegrated. The student revealed the story to Lynne when he presented in lab meeting. A lot of the learning experiences of scientists have funny stories that go along with them. Not every day is going to be great and there will be many challenges, regardless of the career you choose. Use your time wisely, be perseverant, push yourself beyond your limits, and if you believe in something, do it in spite of your fears. Be sure to understand your weaknesses and compensate for them, as well as know your strengths and utilize them. After obtaining her PhD in Biochemistry from the University of Wisconsin-Madison and undertaking post-doctoral work at the McArdle Laboratory for Cancer Research, she joined Roswell Park Cancer Institute before moving to the University of Rochester. Through her studies of human diseases, Professor Maquat discovered nonsense-mediated mRNA decay (NMD) in 1981, a quality-control mechanism that eliminates potentially deleterious RNA molecules. Her laboratory has worked out how our cells recognize potentially deleterious RNAs, which are produced all of the time by mistake in normal cells. Subsequent studies have focused on other types of disease-associated RNAs, including two types of regulatory RNAs: long non-coding RNAs and very short regulatory RNAs called microRNAs.